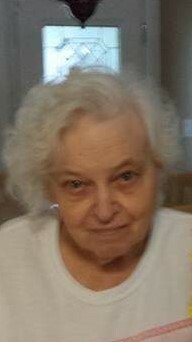 Marilyn DeMaio, 83, (nee Hoimark), passed away on Sunday, November 11, 2018 at Care Center at Pinellas Park, St. Petersburg, FL. Relatives and friends are invited to visit at the Thiele-Reid Family Funeral Home, 585 Belgrove Drive,Kearny, NJ on Monday, November 19, 2018 from 11:00 a.m. until 12:00 p.m.
Interment will follow at Arlington Cemetery, Kearny. Mrs. DeMaio was born in Jersey City, NJ and lived in Kearny fro many years before moving to St. Petersburg 20 years ago. She is survived by her children Karen Worley, Robert and David DeMaio and seven grandchildren and nine great-grandchildren. She was predeceased by her husband Robert DeMaio and her daughter Carolyn Toscano.